Dr. Schondelmeyer is a professor of Pharmaceutical Economics in the College of Pharmacy at the University of Minnesota where he holds the Century Mortar Club Endowed Chair in Pharmaceutical Management & Economics. Dr. Schondelmeyer is the Director of the PRIME Institute, which focuses on pharmaceutical research related to management and economics. He also serves as Head of the Department of Pharmaceutical Care & Health Systems. Dr. Schondelmeyer's education, experience, and background provide him with a unique understanding of the complex and technical issues leading to dramatic changes in the pharmaceutical marketplace. His expertise includes pharmacy practice management, prescription drug reimbursement, drug benefit plan management, pricing patterns of the pharmaceutical industry, and pharmacoeconomics and outcomes management. His work experience has encompassed activities in practice, academia, professional associations, and state and federal government. Dr. Schondelmeyer has conducted policy analysis in many areas such as reimbursement of prescription drugs under Medicaid, Medicare, managed care and other third party programs. He was appointed to the Prescription Drug Payment Review Commission, which served in an oversight and advisory capacity to Congress for the now repealed Medicare Catastrophic Coverage Act of 1988 outpatient drug program. 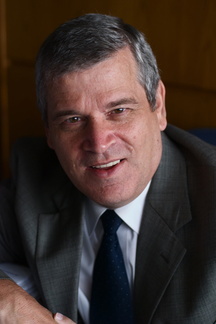 He has conducted research projects for a variety of sponsors including: the Centers for Medicare & Medicaid Services (CMS), the U.S. Government Accountability Office (GAO), the Congressional Office of Technology Assessment (OTA), the U.S. Senate Special Committee on Aging, the Food and Drug Administration (FDA), the pharmaceutical industry, and pharmacy associations.